For many years, too many to recall how many, the membership of the Music City Miata Club had the chance to show it’s appreciation for all the United States Armed Services and for all that they do to secure and maintain our many freedoms and blessings. 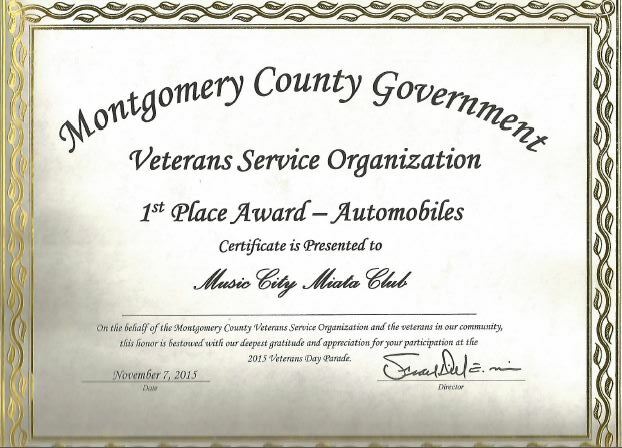 This year, the Club will once again participate in the Clarksville Veterans Day Parade on Nov. 10th. For those of you who will be participating in this year’s parade, and would like an early Breakfast, we will be meeting at the Clarksville Shoney’s at Exit 4 off of I-24 at 6:45 AM. Our driver’s meeting will be at 7:45 am and depart for the parade assembly area no later than 8:00 am. 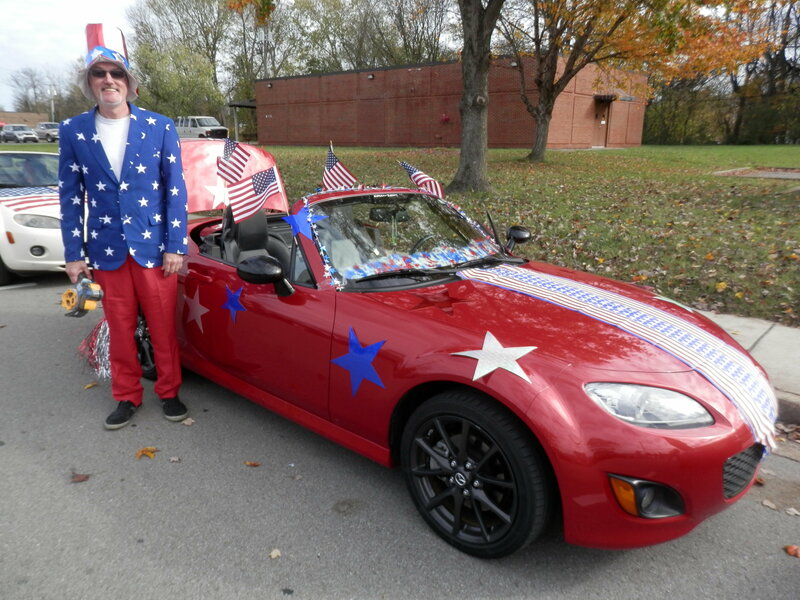 Once there, we’ll have plenty of time to dress our Miatas patriotically in red, white, blue and add a touch for this year’s parade theme “Veterans Serving After Service”. We’ll also have our FM transmitter in service to trumpet some up-tempo patriotic music to accompany our parade movement. The Parade pulls out promptly at 10 AM. As in years past, this is a “no candy” parade. With your help, the Club expects to continue it’s tradition of taking home the top award for parade participants. Following the parade, we will stop to undress our cars, make a pit stop at a fast food place and motor to the Herndon’s favorite eats place, Riverview Restaurant & Marina, 110 River Road, Ashland, TN. A real crowd pleaser in years past. A BIG MCMC THANK YOU to MIke Schultz for sponsoring the many past year’s parades.